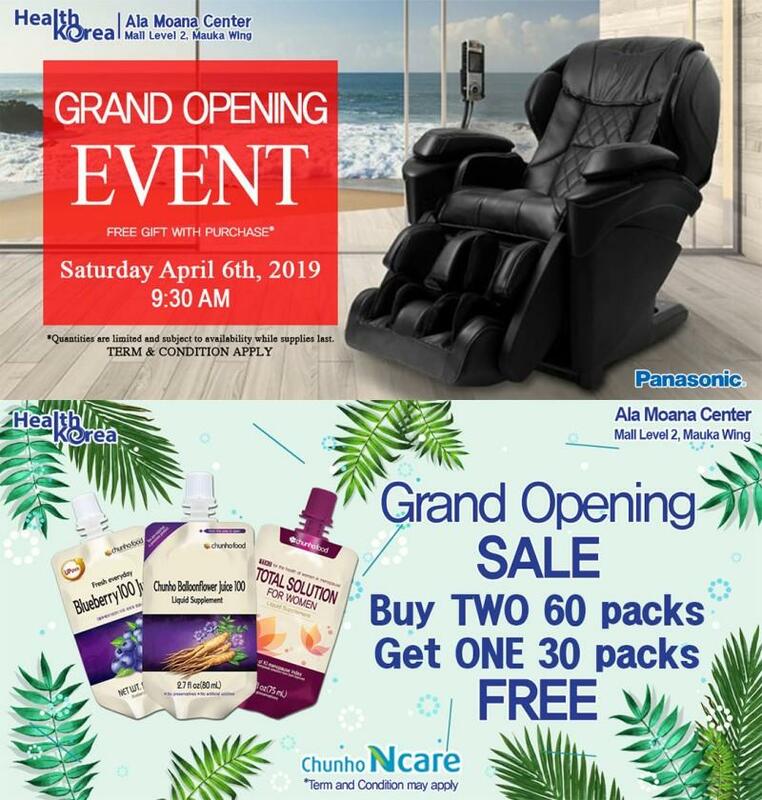 Join Health Korea for their Grand Opening on Saturday, April 6. Grand Opening special! Buy a Panasonic MAJ7 Massage Chair and get a free gift. Offer ends April 6. Buy 2 Chunho N'Care 60-pack juices and get a 30-pack FREE. (Must be same kind) Offer ends April 30. See store for details.